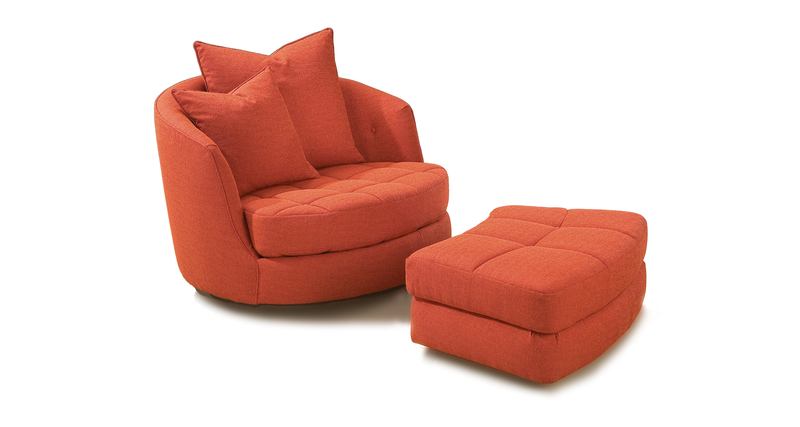 Originally designed in 1965 by Milo Baughman, this oversized swivel chair is a midcentury modern classic. Featuring button tufting, an easy glide swivel and an optional foot ottoman, our Giant Tub chair is a timeless lounge for all environs. Choose from our many fabrics or leathers or provide COM. Standard with four recessed casters. Standard with one 24 x 24 inch pillow and one 18 x 18 inch pillow. Base available upholstered only.